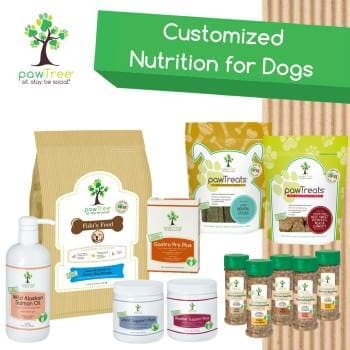 I have a hunch that you found this site because you're a Shih Tzu lover or wannabe or that you are looking to add an adorable puppy to your family? 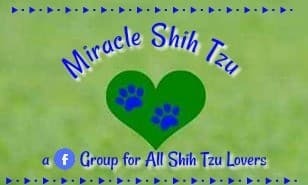 No matter what your goal is for visiting Miracle Shih Tzu, I hope you find what you're looking for. Before I tell you all about what this site has to offer you, I'd like to introduce myself. 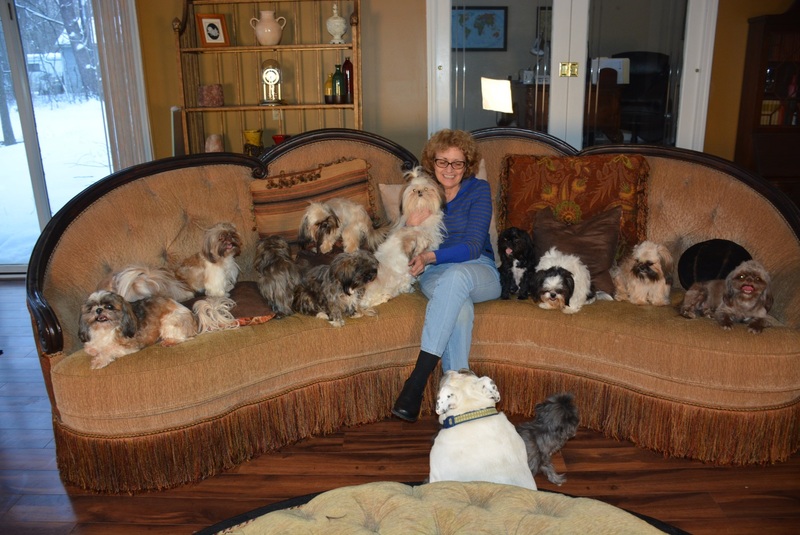 My name is Janice Jones and I'm a Shih Tzu breeder in NE Ohio (between Cleveland and Akron). 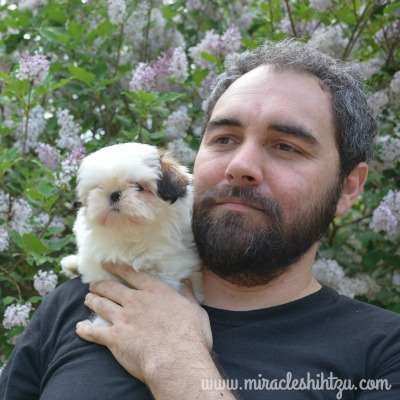 I am also the voice, publisher, and editor of this website and last, but not least, I'm a Shih Tzu Lover. I've loved the breed for at least forty years but I haven't been breeding that long. 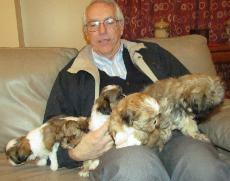 Are You Interested in Adding a Shih Tzu to Your Family? 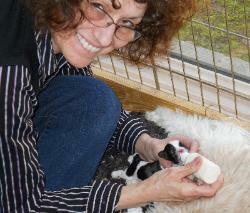 I believe that the most important job you can do when searching for that perfect puppy is to get to know the breeder. I've even written a list of questions of and that I am prepared to answer. (Naturally I may be asking a couple questions of my own for you too.). I'm a strong believer that you should know about where your new puppy began life, the type of care he received, and the person who brought him into the world and cared for him before you took him home. That's Me with a little help from my family. More about that in a moment. 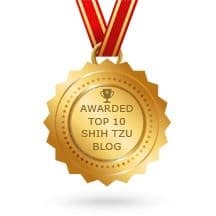 I also suspect that many site visitors already have a Shih Tzu who may desire some guidance on any of the many aspects of caring and living with these sweet dogs. That is where I hope I can help you. You'll find helpful information on grooming, training, health issues of the breed, as well as other "problem behaviors" you may encounter. I love meeting perspective puppy buyers in person, and these people who come to our home often remark that they already feel they know us by our pictures and story. But I also realize that a large percentage of our customers do not live within driving distance, so must rely on the Internet for information. Then there is the group of visitors that want information. 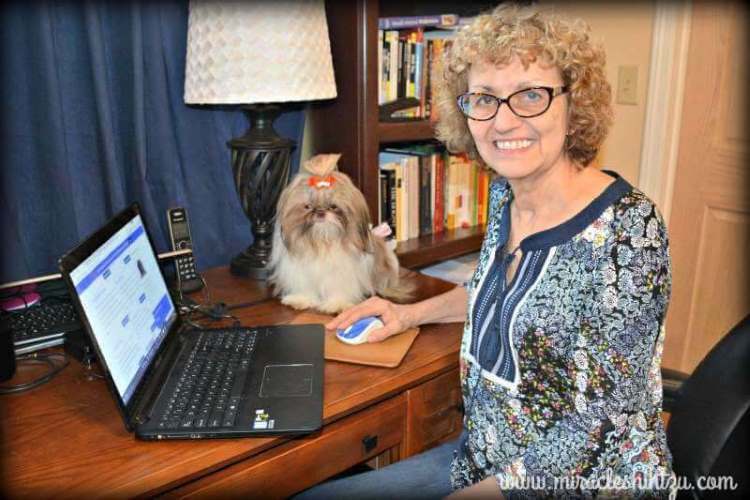 That is one of the reasons I built this website, because not only do I love Shih Tzu, but I also love helping others. So, I am providing you with some information about me in hopes that you will feel comfortable that I am first of all Not a Puppy Mill, secondly that I'm not a scammer, and third, that I have acquired a great deal of knowledge about the breed since getting my first one in the late 1970. 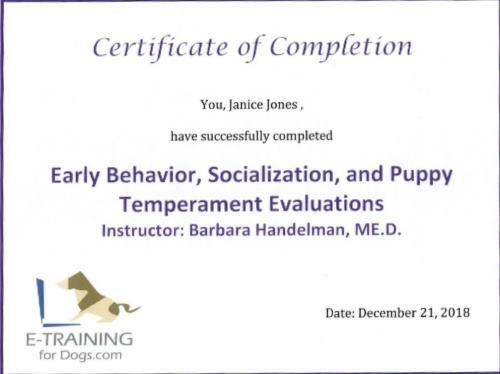 Now, for the good, the bad, and the boring parts of Janice Jones' life. 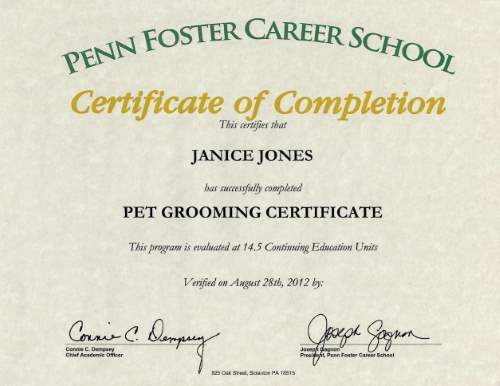 The good, the bad, and the boring parts of Janice Jones' life. 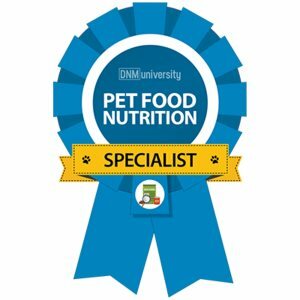 During my 20s, I was working full time as a veterinary technician and going to school part time majoring in biology/pre-vet. The birth of my first child changed my career course and I continued on to receive a degree in nursing, then a bachelor in Psychology with a minor in Biology, from the University of Maryland, and a Masters in Clinical Counseling from the University of Cincinnati. I spent about 30 years of my life working in fields related to children, as a caregiver, teacher, curriculum developer, counselor and finally as the owner and director of a large preschool and child care center. I love children, but I needed a break. Our cross-country relocation forced me to leave my business (in good hands), and I had to make a critical decision: should I look for a job or find work to do at home. I chose the latter. I had bred a few litters in my 20s and thought that it might be fun to pick up where I left off. 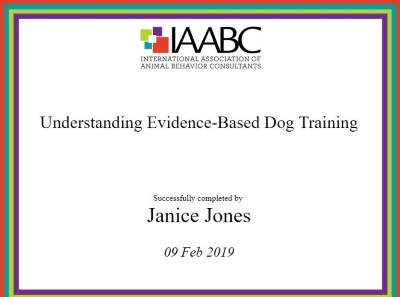 That's when I began researching, reading, taking classes and asking a lot of questions to help me become a better breeder. You can see some of my certificates below. Since my favorite breed was the Shih Tzu, there wasn't any question where I would begin. 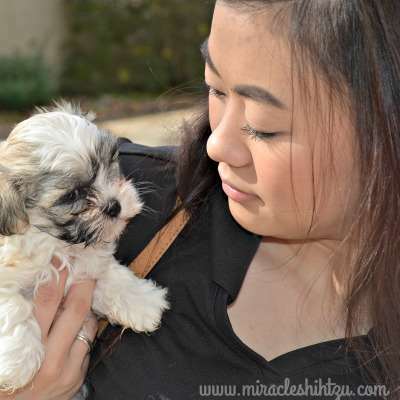 At about the same time as I began searching for my foundation stock, I also began another website, Small Dog Place and then shortly afterwards, Miracle Shih Tzu. I've been doing this now for about 8 years and I have learned much about the field. 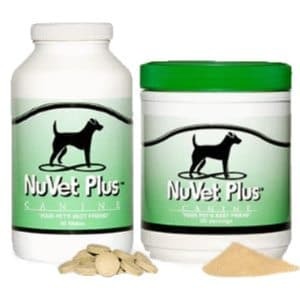 Breeding dogs requires knowledge in genetics, veterinary medicine, and animal husbandry. Those are the most obvious but breeders also need a good knowledge of sanitation techniques and biohazards, photography, web design, marketing... I could go on but as you see, breeders wear many different hats. And, contrary to popular belief, we do more than play with puppies all day long. During the last eight years, I also bred Yorkshire Terriers, Maltese and hybrids including Yorkie-Pos and Maltese - Shih Tzu mixes. Now, I limit my breeding to purebred Shih Tzu dogs. Now, for the rest of my family. They help out as time permits. I am married to my high school sweetheart, Alan for the past 40+ years. Alan is a corporate attorney and also a dog lover. He helps out if legal questions arise and edits some of my writing as time permits. Mostly, though, he lends moral support and encouragement. We have three beautiful children, now grown. Aaron is our oldest and helps out with our dogs while holding down a full time job. He holds a degree in Theater Arts and helps me with some of the videos that we make. He often delivers puppies to their new owners and he's even been known to help whelp a litter or two. Nick is a native born Thai and a West Texas A & M graduate who also relocated to Ohio and currently works as a Project Manager in a high-tech firm located in Ohio. He helps with accounting, marketing questions and offers suggestions about business related matters. Elizabeth is my lovely 21 year old is also a dog lover. She helps with photography and video and offer suggestion of all kinds to her old mother. She is attending college in Ohio while working full time. Here is a quick video she made when she was just 15 years old and a freshman in high school. She made most of our early videos while still in High School. You can view all of them on my Youtube Channel. We all live on a five acre wooded lot filled with natural wildlife: deer, squirrels, racoons, bunnies, chipmunks, wild turkey, raccoon, birds any of the other myriad creatures that have eluded our detection. Inside our home lives our Shih Tzu, an English Bulldog and two cats. Needless to say, we don't always have the quietest home (or the cleanest) on the block. But the area where the puppies live (a repurposed large dining room, kitchen and hallway) is keep very clean. I've had more litters than I can count (or rather, should I say, my Shih Tzu Dams have had), but each one is special in its own way. I work hard to prepare the puppies in my care for their new homes and this means socialization, imprinting, having a keen eye for health problems if any, and lots of paperwork! If you'd like to know a little bit more about our breeding program, I have a separate page on this site. 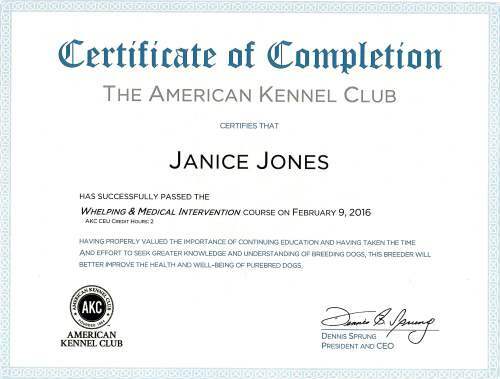 We follow all local, state and federal standards and I've been inspected twice now by representatives from the American Kennel Club. Both times, I passed with flying colors. My major goals are to produce healthy, happy, puppies that conform to the AKC breed standards. The majority of our puppies end up in pet homes but I do sell to other small breeders that care for their dogs the way I do. Wonder How I Built This Website? I'm not a coding expert or even a graphic designer. I was able to make this site and update it regularly without any help from expensive web developers. Want to Know How? You could do it too. In my SBI review page, I provide all the information you need to help you make a decision about starting an online business.